How to Properly Maintain Your Roof? June 23, 2016in NewsNo CommentsHow to Properly Maintain Your Roof? Any homeowner would agree that it is important to have reliable and strong roof overhead. Roof should be able to protect our house from any kind of damage. It helps keep the interior cool or warm depending on the season. Good and strong roof adds value to our house and it would become a much healthier and safer place to live. There are maintenance tips that we should perform to make sure that the roof is always in the tip top condition. In order to ensure that the roof remains strong, it should be maintained regularly. The inspection should be performed especially after a heavy storm and rain. A particularly snowy winter could also put immense pressure to the roof. The weight of the snow could weaken the structural integrity of the roof and it should be inspected immediately. 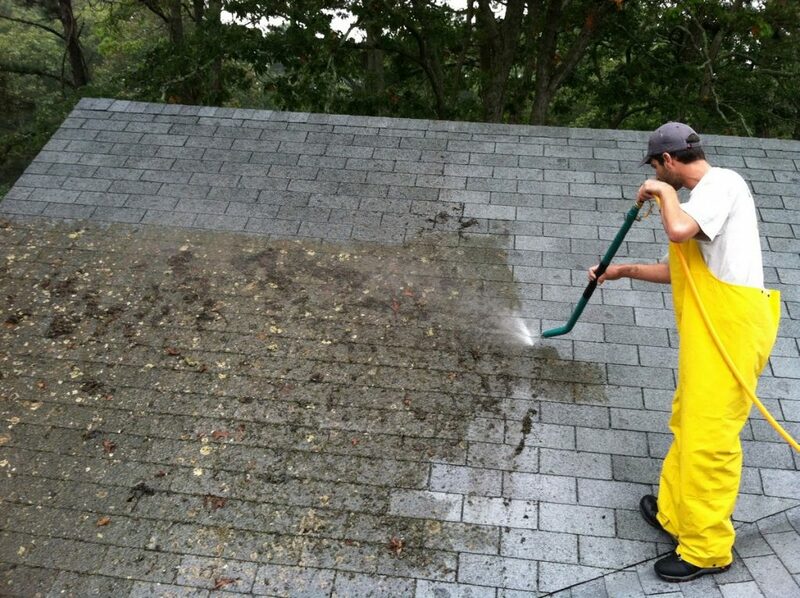 We should check for mildew and mold, by looking for any kind of black spots on the rooft and tmber structure. Overtime, mold could slowly work its way into the wooden structure, causing various damages. A good preventative method is by installing strips of zinc at the top of the roof. Each time it rains, tiny amount of zinc will dissolve, washing off the tile and deter the proliferation of mold and mildew on the surface of tiles. But, if mildew continues to grow, it is important to treat the tiles with a mold remover solution. Gutters should also be kept clean and in good repair. Clogged gutters could result in expensive damages to our roof. We should try to keep the gutter free of any kind of debris. It means that we should make sure that the gutter should be able to perform the actual job that it’s meant to do. Damaged roofing tiles and shingles should also be replaced. Some homeowners think that slightly damaged roofing tiles and a single missing shingle won’t cause any problem. We should replace any damaged iles and shingles. Even a slightly torn tile could put additional pressures to adjacent tiles. Roof sealants should also be checked, while wear and tear should be monitored. Cracked mortar around the chimney should also be checked. The mortar is needed to hold the bricks in place and if any of it falls, some amount of damage could be inflicted to the roof.